As we ring in 2019, it’s time to move forward and look to new things. But we must also remember the year that was, and in this case its worst detritus. After two weeks of nominations, votes, reminders, and terrible embedded videos and images, the 2018 Peely Awards have come to an end. Your participation has led to a wide crowd of winners and nominees covering a wide spectrum of art and material, the vast majority of which is terrible. There were a great many awful pop cultural things this year. 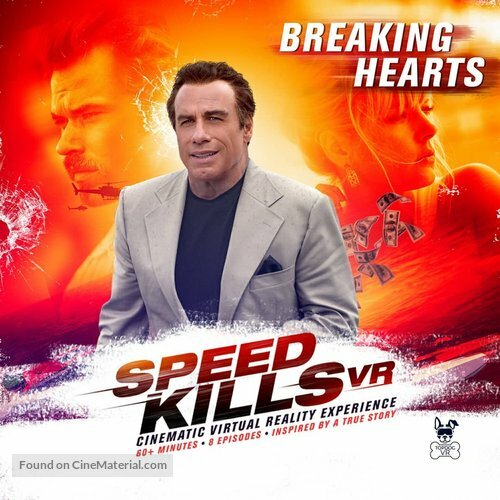 We had a demeaning and insulting video game about deaf people, some particularly irritating memes, and something called “Speed Kills VR.” Show Dogs had to be edited while it was in theaters to remove a joke that called to mind child molestation; Roseanne was gutted partway through its season due to its lamentable, hateful star. Hell, the year even had the newest awful video game by David Cage! But truly, the bad of 2018 was dominated by a few titans of awfulness. Bethesda openly extolled how unfinished their latest massive game was, a Venom movie powered by years of attrition was filled with arrogance and ego, and a John Gotti biopic of an almost impossible terribleness directed by E from Entourage is the first Trumpian gangster movie. But more than all was Fantastic Beasts 2, a Harry Potter sequel for which few asked and which turned into a petri dish of heinous, asinine ideas. With its awful politics, turgid writing, and continued employment of Johnny Depp it does well to remind us of how bad art can be, to better understand and laud the good. Those last two movies helped close out truly noxious works from a greater and arguably more deserved presence – Life Itself, which utterly deserved shellacking of the highest order, had negligible presence for wins and nominations – though a wide range of products and productions did get to stand and be counted. Once again, as a community we’ve shown a great ability to explore art and artists great and small. With all that said, here are the winners and the top four runners up (top nine for Worst Film, and additional entries in case of ties). These are hidden behind spoiler tags for ease of reading, and in the case of categories with images or videos, only the top one was included; the others will be linked to. In addition, in the case of situations where the same nominee was put forth twice for the same category, we’ve combined those to provide a winner. But before you check them out, I just wish to thank both Lily “Lovely” Bones for her incredible aid with the final tallying and you all so much for joining in with this.